Film & Stage Crew Jobs>Runners & Assistants>Assistant needed for 1-day Shoot on Short Film in Fulham, London. 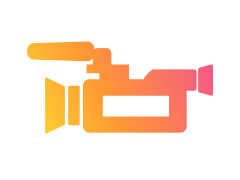 Assistant needed for 1-day Shoot on Short Film in Fulham, London. Assistant needed for 8 hours on a short film. We are producing a short film for a London cancer charity. The film will center around the experiences of male cancer patients within the healthcare system. We need someone to assist the director and the cameraman in setting up, moving lights and reflectors, etc. Date: Monday 3rd, December 2018. Location: Private residence in Fulham, London. Need someone who's punctual, reliable and free to commit to the total hours specified.